Last night I had a plan to get up early and take my kayak to the lake. That didn’t happen although, I did spend a great deal of time in bed thinking about how I was going to get up. The night person is not the same as the morning person. My morning person wants to sleep in. I did read for a while early in the early morning but then I went back to sleep and dreamt of taking my kayak into a pool and something was wrong with the paddle. When I got up I watered the plants and after much contemplation decided to go for a bicycle ride. I left the house before noon so that was pretty good considering I slept so late. Frequently, I think to myself that I will get up early and do some activity such as walking or kayaking. Unless there is a plan in place to get up early and go somewhere…I don’t get up early to do anything other than go to work. 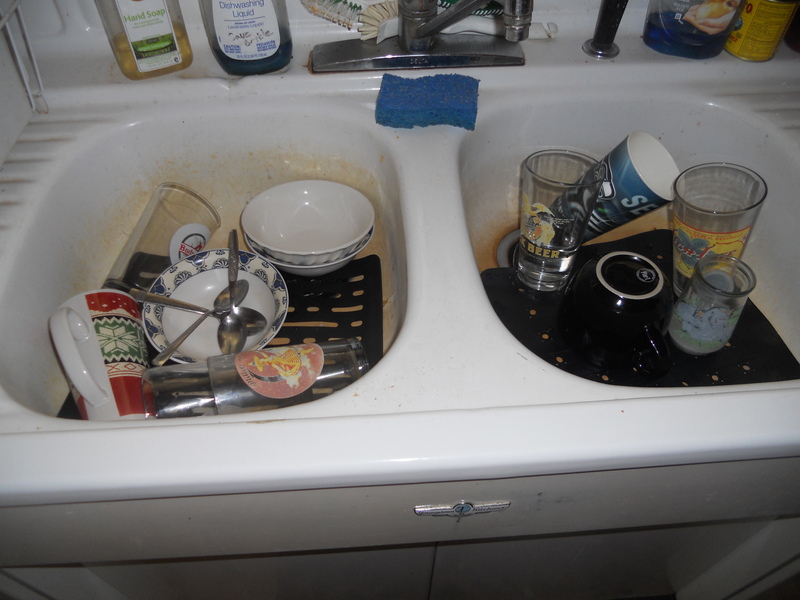 Upon return from my bicycling I found a great many dishes in the sink. Funny thing is, the dishwasher is right next to the sink…just a few steps and all those dishes could have made it directly into the dishwasher. My sign about the fact that we don’t have a maid has not been helpful.